On a recent trip to South Asia, I joined staff from our California office who were hosting training for social workers, senior staff and nonprofit development founders in one of the busiest parts of town. One of the key differences in our training, compared to my previous trainings where external organizations ordered changes from above, is that we were creating a safe space for staff to share their progress, concerns and areas of opportunity. The key issue that constantly came to the fore was the complexity of youth. 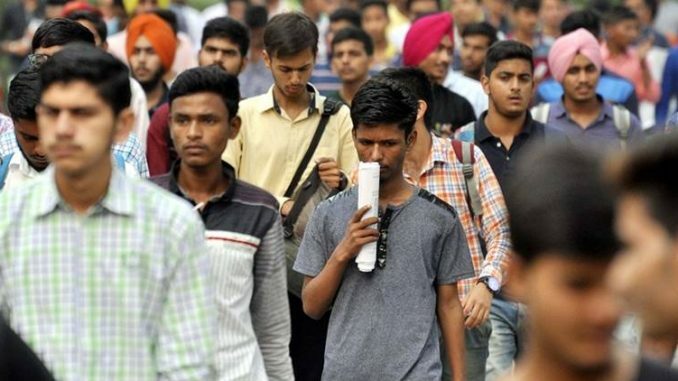 In India, where more than 65 percent of the population is under 35, the world’s fastest-growing economy does not seem to reflect the major changes that youth go through on a daily basis, at least not at the macro level. Within certain pockets of society, youth are beginning to have a voice, especially in industries as diverse as information technology, engineering and the medical profession. However, in youth development, most volunteers, social workers and full-time staff go unnoticed. That is, until recently, when most startups began to be run and recognized by the younger population, gaining traction among wider society. I had staff development trainings in my work with the U.S. Center for World Mission previously in California. But only now did I come to understand that investment in youth is a constant driver of change that may look different in different contexts, especially in the “global south” (Africa, Latin America and the developing countries in Asia). Fast-forward to my work in anti-trafficking as a consultant with a nonprofit startup based in Southern California (operating as an on-the-ground partner in South Asia), and things look quite different. Within my work in the field, I came across a number of youth who aspired to begin their own social movements; not just their own businesses or organizations. They were really challenged by their cultural surroundings to provide better opportunities for people like them who had difficult upbringings but had the potential to make a difference. Things are beginning to change, at least in the minds of youth involved in international development from the margins; those on the outskirts of the major metropolis cities, as well as the marginalized within lower socio-economic areas, are now able to utilise their innovative ideas to uplift the youth around them. Walking into the red-light districts of Mumbai, I noticed that a majority of those being directly affected by the dangers of their surroundings were younger than I expected. Most of the youth were under the age of 21. Spending time listening to the youth and speaking to them one-on-one, I realized that the issue of being overlooked, underappreciated and seemingly unnoticed by the majority was a larger issue than I first understood. Some of the issues many youth deal with, such as anxiety, stress and depression, are the very issues and situations that let them relate to other youth like them, and in doing so, find some sense of relief and common ground in the midst of their struggle. I began to see that this issue was affecting not only youth in underprivileged areas, but also youth working in corporate companies, international tech conglomerates, even global nonprofits — they all have a similar issue: The youth who dominate the country’s landscape are the same demographic who seem to be unheard and unseen. However, PourOut and other organizations like it are making inroads to change the lives of youth in cities within South India, the United States and beyond. Being part of a nonprofit collective that is championing staff in the development field to have a say on how organization-wide training can have an impact is beginning to garner the attention of the South Asian diaspora — not only on a local level, but also internationally. The fact that marginalized youth can now find their voice and that the international development field can be a platform for change is becoming more and more apparent. Within the trauma training that PourOut provides, there are safe spaces made for marginalized and often victimized youths to share their stories and receive assistance within their cultural contexts, as well as ongoing support from those who also participate in the training themselves. Going beyond borders — geographical, cultural, social, emotional, mental and spiritual — to have more of an impact in youth development, especially for those who have no voice, has become a calling of mine that I keep at the forefront of my current nonprofit work. Joining the cause of creative networks such as Unseen, or collaborating with Christian agencies by serving with Interserve International in overseas locations, has been a journey of learning and living that I trust will continue onwards and upwards. Within creative networks, the collective good of people who are able to connect to make a difference using art, media and other creative avenues to raise awareness of situations in the field is bringing to light issues that have long been buried beneath the veneer of cultural development. Furthermore, connecting with international nonprofits, charities and development agencies can increase the impact on many more youths who are further empowered to reach out to others like themselves. Right now, the hope is that youth will seek ways to collaborate, connect and communicate with other youth so they can be heard, can make a difference and so that their voice can be the clarion call of change we need. Developing our youth is a cause that staff from all organizations and sectors of society should be able to contribute to, on both a local and global level, for the purpose of bringing them from a place of marginalization to a place of empowerment, for major transformative change.